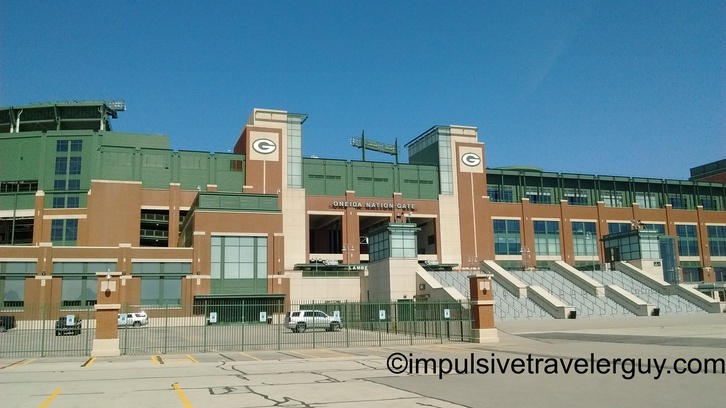 On our way to exploring Lake Michigan from our Copper Harbor trip, I realized we’d be going through Green Bay and right by Lambeau field. 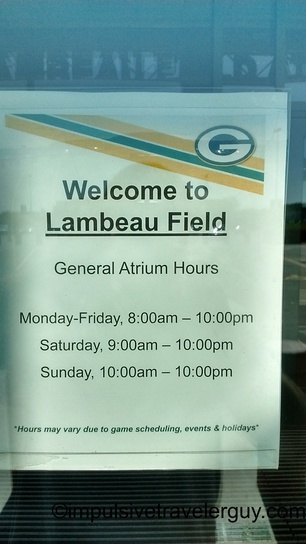 Being a native Cheesehead and a lifelong Packer fan, I had to stop at one of the best places on earth. 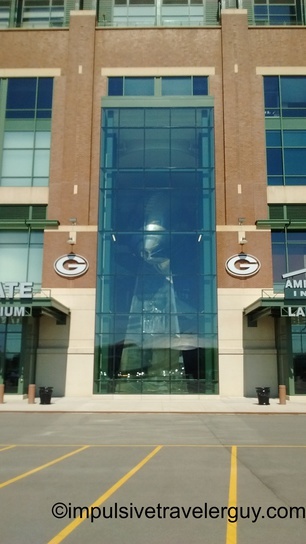 You know they don’t call it the Lombardi trophy for nothing. We were in luck. The Atrium was open. 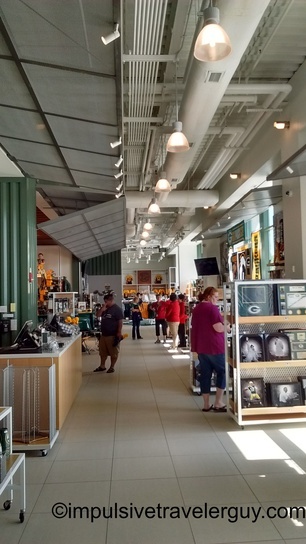 I went and checked out the Packer Pro Shop. 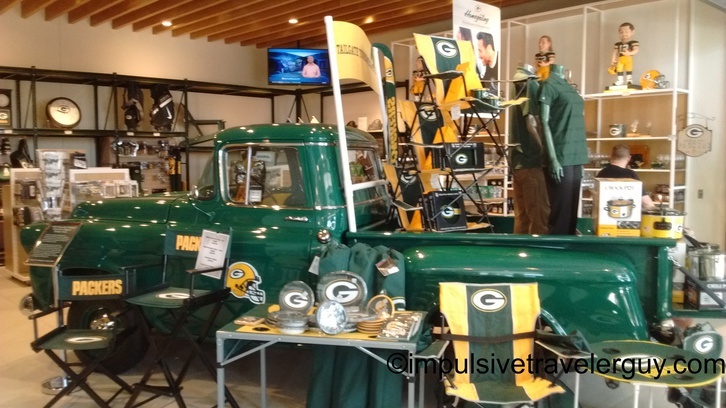 They had a cool old truck that was all decked out in Packer stuff. 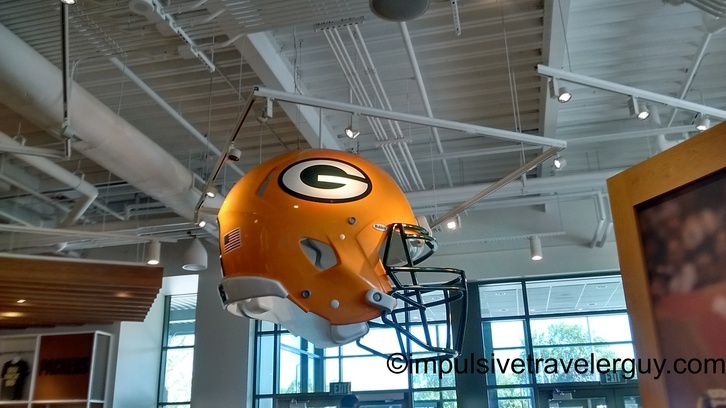 The helmet was hanging from the air. 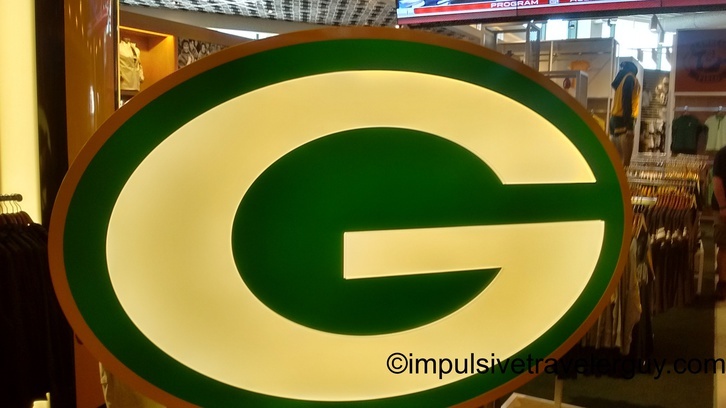 Don’t forget the big G.
After the Pro Shop, we made it to the Atrium area. 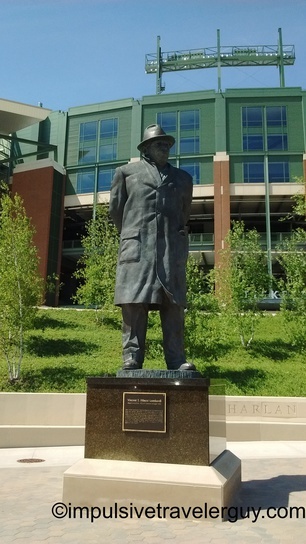 They were giving tours of Lambeau. I’ve been on the tour about half a dozen times, so I didn’t need to see it again this time. What I found interesting is I saw a billboard for Miller Light in Abilene that said, “Texan from the start.” I didn’t get a chance to take a picture of it, but I just laughed. 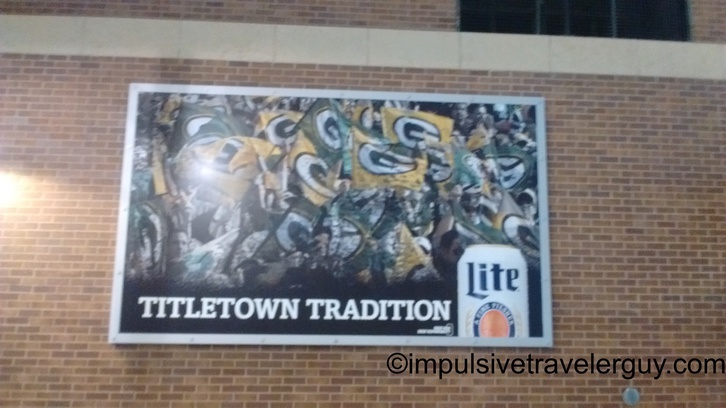 Miller is Wisconsin from the start. 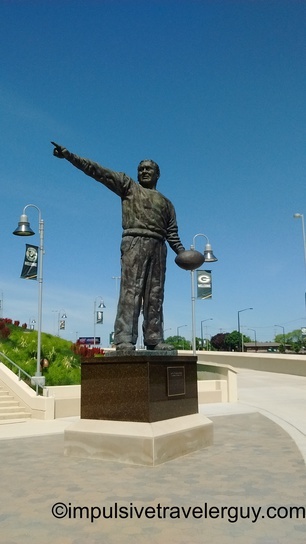 After sitting in the Atrium and planning what we were going to do in Door County, we walked outside by the statues of Curly Lambeau and Vince Lombardi. 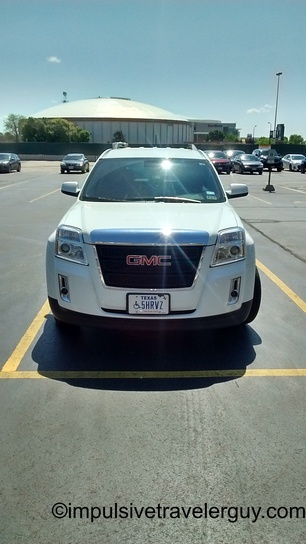 We then walked back to the car and I did notice there was another vehicle with Texas plates. 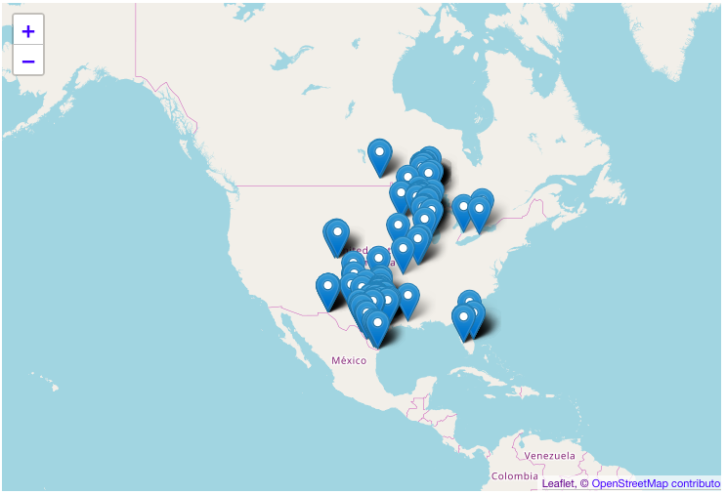 I drove a lap around the parking lot. 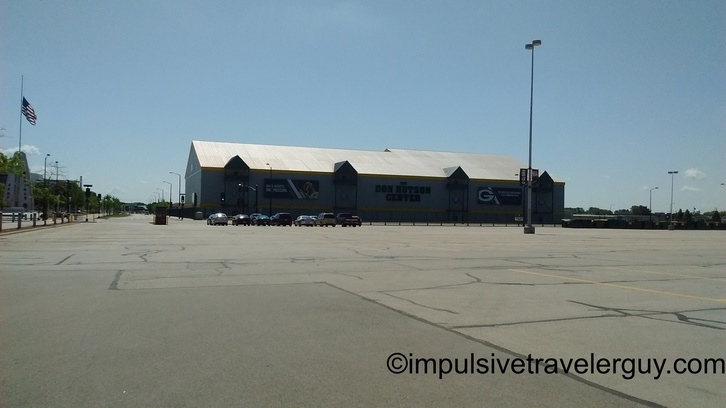 Across the street you could see the Don Hudson Center, where the Packers do indoor practice. 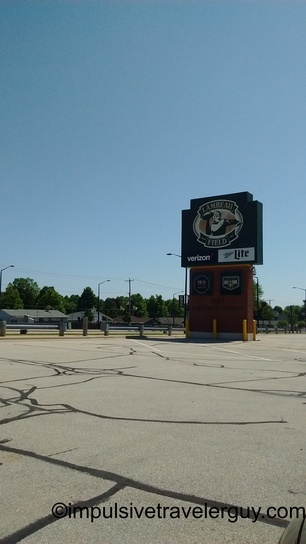 I also had to get a picture of the sign out front. 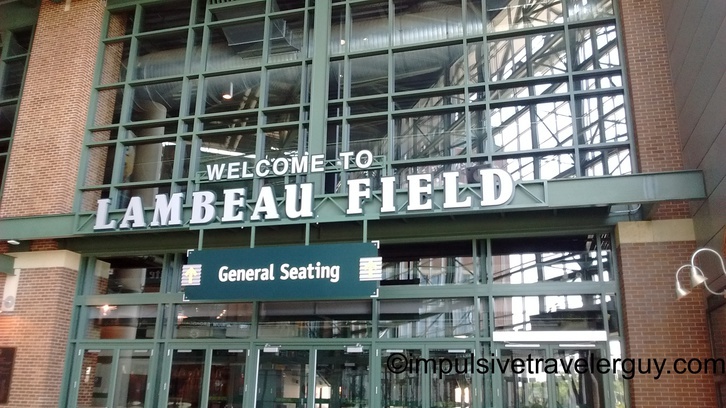 It was definitely good making a pit stop at Lambeau. I’ve been here many times and it doesn’t get old walking around and checking things out. 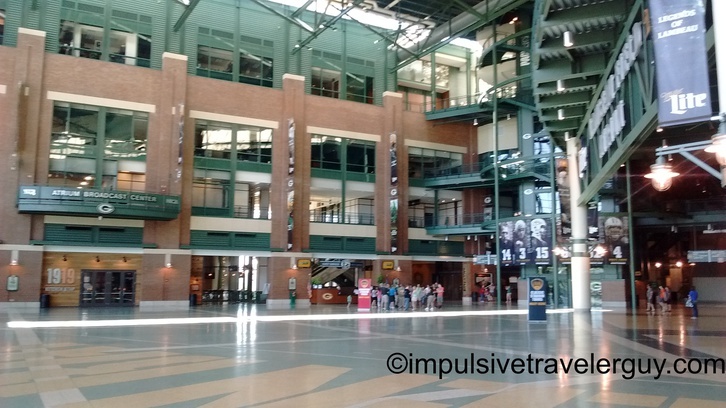 Maybe in a future blog entry I’ll take the stadium tour or go to the hall of fame. You can check out the rest of the trip here.